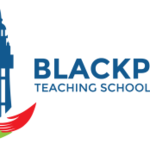 Blackpool Teaching School Alliance was founded by a group of schools in Blackpool to support Blackpool schools to be the best that we can be, to learn from each other and share best practice. The Teaching School is founded on a belief that high quality teaching and learning can overcome disadvantage and promote high standards in even the most challenging of schools. The teaching school has been developed to promote high standards in all schools whether they be primary, secondary or special schools and we welcome the opportunity to discuss the teaching school and its potential to improve your school whichever phase of education you come from. If you are interested in becoming a partner of the teaching school, please get in touch outlining areas of expertise that your school can bring to the teaching school.